Are you a travel blogger looking to reach a bigger audience and find more followers? Have you been struggling to find your feet in the travel blogging world and want help? If you answered yes to at least one of these questions, then read on to find out how I can help you! Starting, growing and maintaining a travel blog is hard. Trust me, I know because I’ve been right where you are now. I know how hard it is to get your brand out there in the overcrowded online space. I also know how it feels being completely lost in a new world. Not knowing where to turn for advice and information and then not knowing whether that advice or information is even correct. It can, at times, be daunting. So that’s why I’m excited to offer these two services to you, fellow travel bloggers who want to grow their brand and learn from someone who’s been there before. Let me help you grow your audience and learn about the big wide travel blogging world! 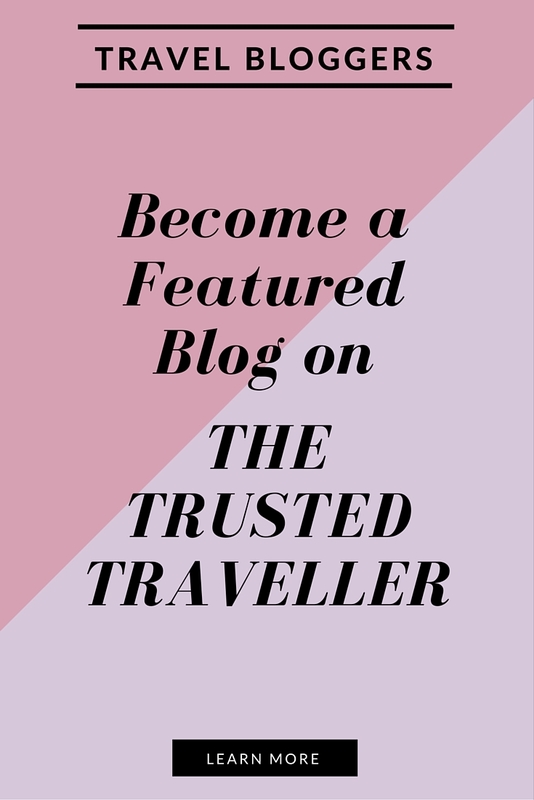 Really any size travel blog can benefit from advertising on The Trusted Traveller. If you want to grow your audience by reaching people who many not have heard of you and your brand before, then this service will help with that. As part of my ‘Travel Blog Advertising Package’ you get. An banner on my sidebar for 4 weeks, which gets seen by roughly 50,000 people per month. The chance to guest post with me, which I’ll share with my social media audience of over 50,000 people. Only FOUR spaces are available for this package at any one time. Places are given on a first come basis so don’t hesitate, contact me now! It’s simple, all you need to do is send me your artwork for the banner (400 x 250 pxl) and your payment. It is that simple! Your banner will appear on my sidebar as soon as payment is received and stay in place for 4 weeks. Simple as that! Finally for the guest posting opportunity, I welcome your ideas for a guest post at anytime. Just send me an email with any ideas you think will suit The Trusted Traveller and we can go from there. Think along the lines of information heavy, travel planning pieces to worldwide destinations or how to style guides about the art of travelling. You might like to have a look over my Contributor Guidelines too! Travel Blog Advertising Package – $100.00 AUD – this gets you featured on my sidebar for 4 weeks and give you the chance to guest post with me. 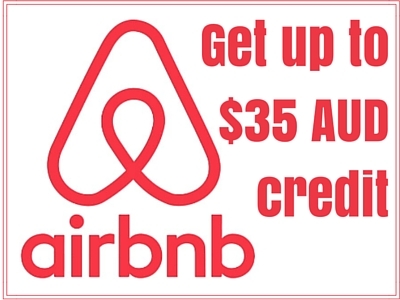 Travel Blog Advertising Renewal – $80.00 AUD – this price is for renewals of your sidebar banner for the next 4 weeks or any 4 week period in the future. I’ve priced this at a discounted rate the thank you for your loyalty. All payments should be made via PayPal. I want to make this an affordable option for bloggers. I usually charge brands and businesses up to THREE TIMES MORE than these rates just to feature on my sidebar and even more than that to feature their brand in a post. How can you get started or ask questions? 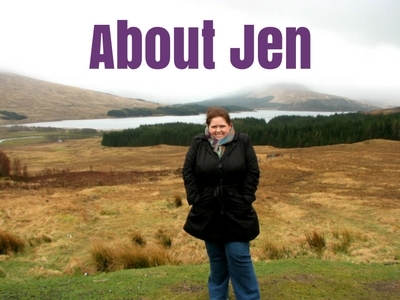 Simply send me an email jen@thetrustedtraveller.com. 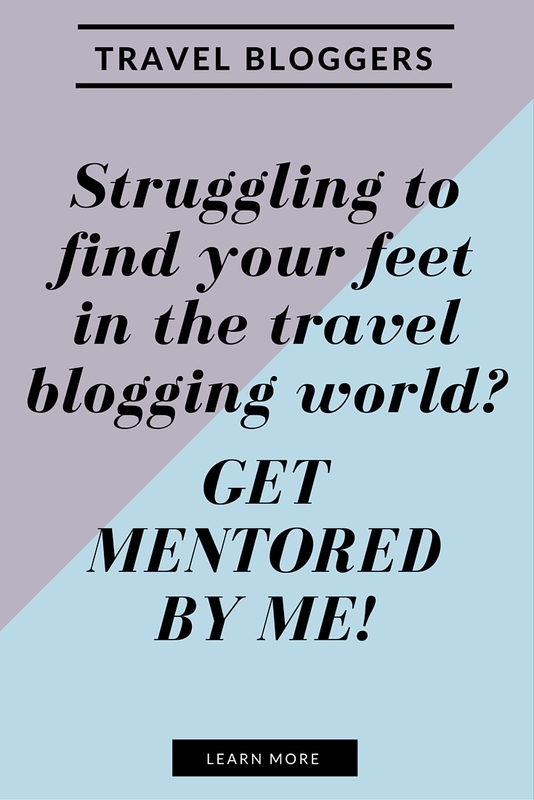 If you’ve struggled to find your place in the online world then my travel blogger mentoring program is for you. Firstly you get everything from my ‘Travel Blog Advertising Package’ above. 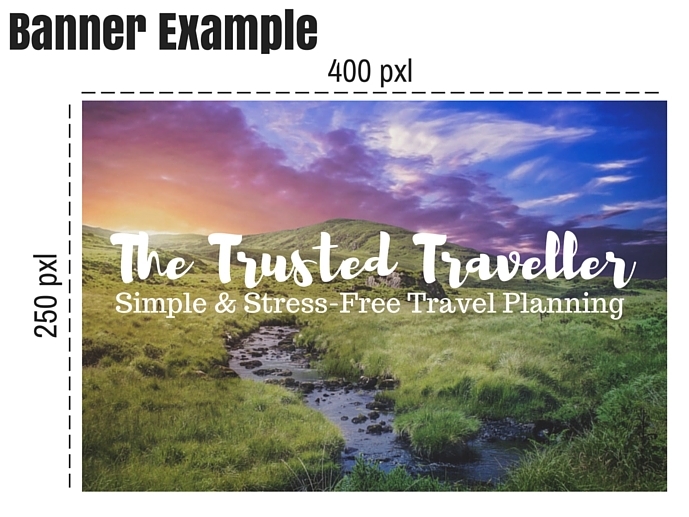 So, a 4 week sidebar banner on The Trusted Traveller and the chance to guest post with me. You’ll also get access to me and my knowledge and experience for 4 weeks. What does this mean? Well, I will be on call for you 24/7 to answer any questions or concerns you have about blogging. No question is too big or too small and I don’t class any question as a silly one. I will use my many years of experience and knowledge creating, growing and maintaining a successful blog to help you do the same. I’ll answer all your questions about blogging and social media without judgement and offer you useful constructive criticism to help you grow and meet your goals. Because I want to give you as much of my attention as possible, I will only be offering this package to TWO bloggers at any one time. Places are given on a first come basis so don’t hesitate, contact me now! It’s really simple! Once I’ve received your payment, you are free to email me any questions or concerns you have at any time. I will respond to you within 24 hours (usually less depending on your timezone) with answers to your questions and help you eliminate your concerns. The Full Package – $220.00 AUD – this gets you 4 weeks of mentoring plus the ‘Travel Blog Advertising Package’ mentioned above which includes a sidebar banner for 4 weeks and the chance to guest post with me. The Full Package Renewal – $200.00 AUD – this price is for renewals of my mentoring as well as your sidebar banner for the next next or future 4 week period. Just the Mentoring – $150.00 AUD – if you are just after the mentoring, that’s no problem! You’ll get access to me for a whole month. Just the Mentoring Renewal – $130.00 AUD – you’ll get $5.00 AUD off if you renew just the mentoring to the next 4 week period and an extra $5.00 AUD off each 4 week period after up to $30.00 AUD total. So if you stay with me for four or more periods, you’ll be paying just $100.00 AUD a month for full access to me and my knowledge and experience. Add a Skype Call – $30.00 AUD – you’ll get me all to yourself for 30 minutes to answer questions or just chat about blogging in general. This includes any follow-up emails that might be needed to answer more complex questions after the Skype session concludes. 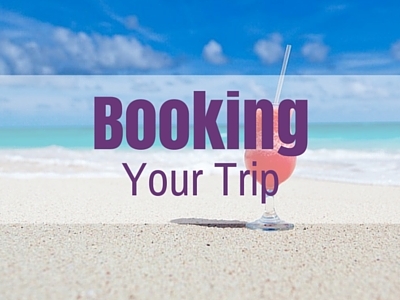 Simply send us an email jen@thetrustedtraveller.com. Places are filling up fast so don’t wait to start growing you blog and getting the help you need to succeed. Contact me now to get started! Know someone who could benefit from my Travel Blog Advertising or Travel Blogger Mentoring? Share this with them now using the links below!